Giving you direct access to your trusted pharmacist. 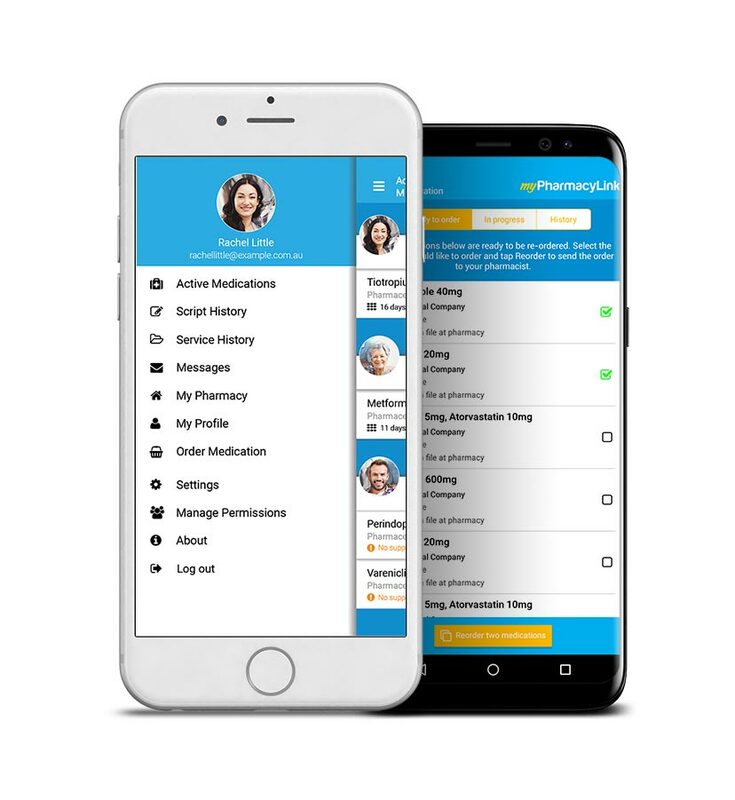 myPharmacyLink helps you easily manage medications for you and your family, under the guidance of your trusted pharmacist. You can view your personalised medication information, receive reminders for new scripts and order your medications from your local pharmacy, all at the touch of a button. When your pharmacist conducts any services, you can access test and progress reports. Almost half of all Australian patients do not take their medications correctly. myPharmacyLink helps you take the right medicine at the right time, with no unexpected delays between scripts. If you have any concerns, you can even communicate with your pharmacist through the app. With these easy-to-use features at your fingertips, you’ll have the information you need to ensure you’re staying on track with your medications. You can access in-pharmacy test results, keep your healthcare professionals informed, and better manage your health. See your current scripts, your remaining supply and number of repeats. You’ll receive handy reminders when your supply is running low and when you need a new script from the doctor. View a complete 12-month history of all your medications. You can see links to your personalised dosage details, medication information and an image of each of your medicines. Access detailed information about your medication, including how and when to take your medicine, the ingredients, any side effects and other issues to consider. Access your progress reports or test results from your local pharmacy; these may include blood pressure monitoring, blood glucose monitoring, inhaler technique checks and vaccinations. Communicate directly with your trusted pharmacist about any medication concerns. Receive reminders when your repeat is due or when you need a new script from your doctor. Press a button to order your medications and you’ll receive a message when they’re ready to pick up. You’ll save time and ensure that you’re always on track with your medications. Set dose reminders to help you remember to take your medications. You will receive alerts so you won’t forget. Add the profiles of your children, spouse, elderly parents or other dependents to help manage their medications, with their consent and the appropriate permissions from your local pharmacist. when managing medications for you and your family.